Cervélo's P5x took the long distance Triathlon scene by storm, wowing riders across the globe as well as making appearances in the Ironman World Championships, Hawaii. However, Cervélo has set out to make a bike with all the same features as the P5x but far more personal. The P3x, first of all, features a frame that is 16% lighter than the P5x making it easier to keep moving at high speeds. Other weight advantages include a 13% lighter basebar, 43% lighter speedpak, for storing your nutrition, hydration and tools in, and a 22% lighter sestpost and rear hydration kit. 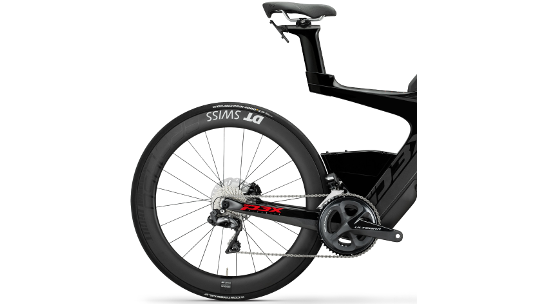 The P3x also features the same "Speedriser' design used on the brand-new P5 that tidy's away brake and gear cables and allows you to make swift on-the-fly adjustments with only a 4mm Allen key. Finally, the P3x's futuristic design allows tyre clearance of up to 36mm, helping you to gain better traction and control of the bike. If you are ready to get personal, the P3x is ready to help you fulfil your full potential. 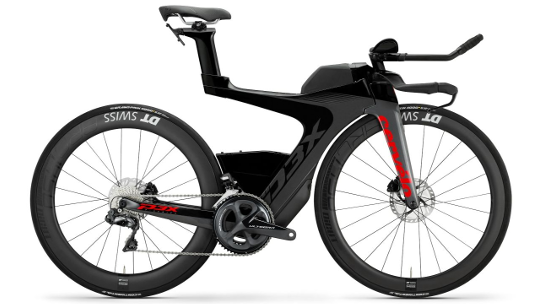 The P3x has taken the design from the brand-new P5 and used it to its advantage. Cervélo's "Speedriser" engineered headset aerobar system works alongside the fork and handlebars to tidy away all cables and make on-the-fly adjustments really easy. All you need to take with you is a 4mm Allen Key and you can make the fit as specific as you need for your best performance. The Speedpak storage accessory is 43% lighter than the storage design used on the P5x, thanks to Cervélo's latest design. It also allows you to store more food, hydration and also make space for service items. Placed on your headtube means that it's easy to access and because it's built-in, it looks the part too! 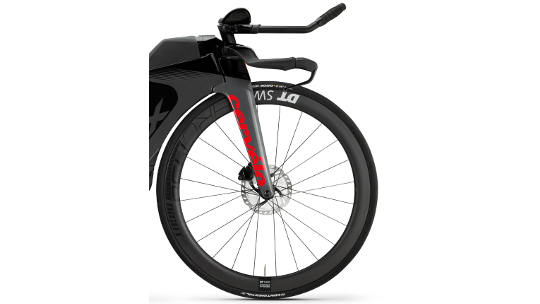 The P3x futuristic design not only looks awesome but also allows you the option to fit up to 36mm tyres. Whilst lowering your overall rolling resistance and improving your comfort, being able to fit tyres up to this size also allows you to gain better traction and control of the bike. This, in turn, reduces rider fatigue helping you along the way to reaching your full potential.